1967 Syd Barrett’s Pink Floyd CIA vs UFO “2nd” printing poster. This is the poster on the right. As anyone who has tried to collect the Osiris pressed Hapshash posters will know, it’s a confusing minefield of so called ‘1st printings‘, ‘2nd printings‘, outright counterfeits until the recent authorised reprints by Nigel Waymouth in conjunction with Bamalama Posters. The paper trail of the printing history is something we intend to attempt to address in a future blog. I loaned several items from my personal collection to Nigel Waymouth for his 2011 show, Hapshash Takes Trip at the Idea Generation Gallery in London. 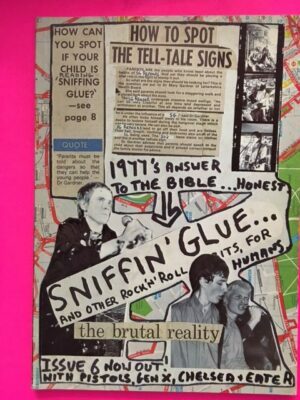 As we went through my material, he recalled that some of early ones were printed at his flat, “then down the road” at Chelsea Art School… before being sent to professional printers to be sold via the back pages of the underground press such as OZ Magazine. 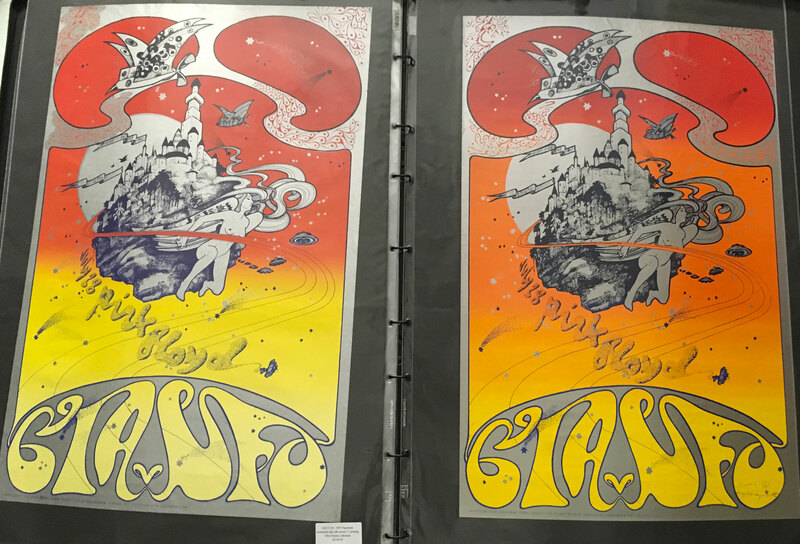 So, like San Francisco….there are posters produced prior to shows, then reprints for sale as hippie-pad space fillers. 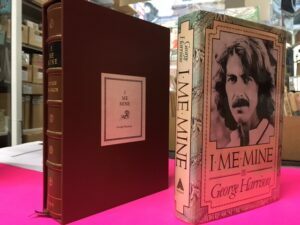 Unfortunately there was no numbering to determine print runs unlike the system introduced at the Avalon Ballroom in SF, by Texan graphic artist and future Rip Off Press founder Jack Jackson. So, the posters that were stuck up around drab, grey London to brighten it up ( as Nigel Waymouth joked ) are now VERY rare. To confuse the matter some of he Hapshash posters – including the posters produced for Brian Epstein’s Saville Theatre show were only produced as lithographs- never silk screens. So, the rule doesn’t apply that an early silk screen exists for ever Hapshash poster. For some posters such as this Pink Floyd CIA, UFO Coming, The Move there are variations in the quality of the detail and paper stock. The posters are silk screens made from the original plates but printed after an initial run. Even some of Waymouth’s own copies, would be deemed later, 2nd printings. The problem is that in the 1980’s later printing not from plates were known to circulate and then in the early 2000’s masses of copies of several of the Hapshahs Osiris posters began to appear in mint condition. However the paper stock was complete wrong and only wishful thinking could convince someone they were real. If you’ve seen any original , you’ll know. To combat the tidal wave of dubious posters flooding the market Nigel created a new set of signed and stamped silk screens with John & David Brett of Bamalama Posters. We also stock these framed and unframed at POPT. Unless we really want to pay £**** for a bona fide original, or a £*** for a 2nd- I seriously recommend buying these while they’re still in production, some have already been discontinued. This Pink Floyd at the UFO club, is one of the easier posters to determine. 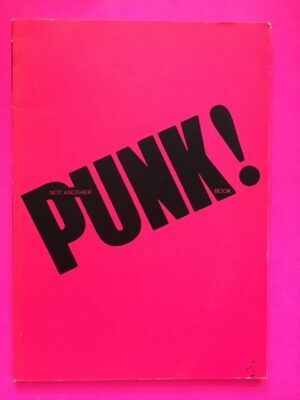 There are two silk screened versions in existence both believed to have been printed in the 1960s. This is the 2nd version determined by the darker yellow ink split fountain colour gradation. These are were printed from the original artwork/ plates and are not the dubious later printings that appeared from 200o onwards. This poster has been in my possession since 1986. 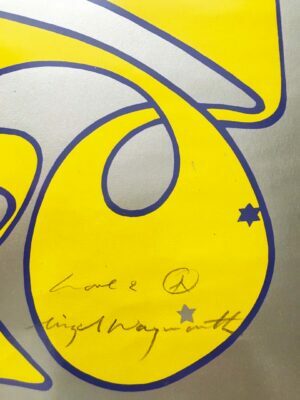 Is has been signed in pencil by way of authentication by Nigel Waymouth on 2011.